Welcome to North Salem New York. With approximately 5,200 residents North Salem sits at the northeast corner of Westchester County. There are 24 square miles of rolling hills, horse property and old stone walls that can be seen here and there marking out the old cow pastures of the day. There are four hamlets that make up North Salem; Croton Falls West, Salem Center, as well as Purdy and North Salem itself. North Salem is home to more then 1,900 single family homes. Most are from the 18th and 19th century. Peach Lake is at the sleepy towns norheast edge and supplies a tranquility unrivalved. Peach Lake is owned by 3 cooperative complexes, all with private lake access. It includes 64 affordable apartment complexes and 38 townhome properties. While North Salem is about 55 miles from Manhattan, commuters will appreciate the Metro North Railway lines located at Croton Falls and Purdy's. Lower priced homes in North Salem are situated at Purdys and Croton Falls where there is a great feel and openess surrounding the area. 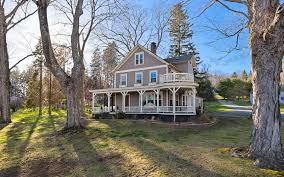 North Salem seems to be having a growth spurt with many homes under $600,000 going like hotcakes! What you won't see here are movie theaters, supermarkets or drug stores. However the outlying neighborhoods such as Ridgefield and Danbury, CT will service your needs quite adequately. 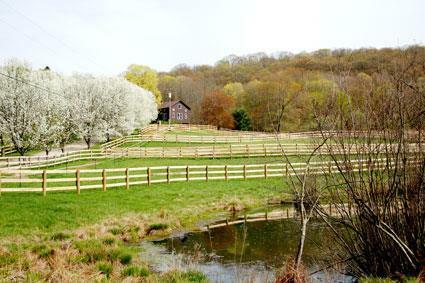 What you will see is thousands acres of open horse country with more than 100 miles of horseback trails. North Salem is also home to the nations oldest fox-hunting clubs called The Goden's Bridge Hounds. This sleepy, lovely town has its own school district with close to 1,100 students who attend Pequenakonch Elementary School, grades 1-5, and after, North Salem middle school and high school. Searching the zip code search by 10560 shows homes and estates in the four and five million range for large homes, many with acreage to boot. If your interested in this area please contact me. I live in the area and can tell you in more details on how wonderful it is to live here!